I created a PNG file from Affinity Photo. 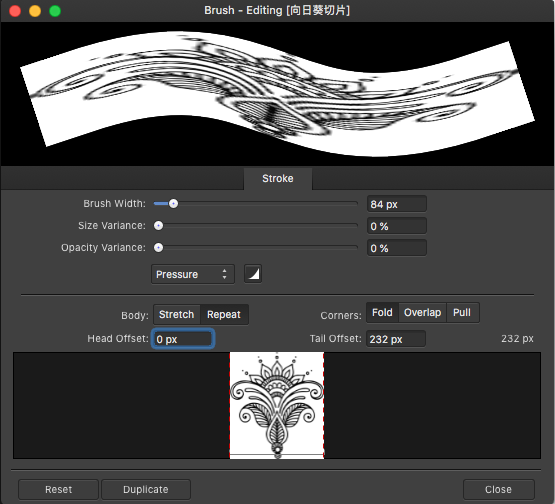 Then load it as a Designer textured brush. The PNG was loaded successfully but it can not be set to repeat. Would you Please figure me out how to create a repeatable PNG image ? If you use a Textured Image Brush it will work OK.